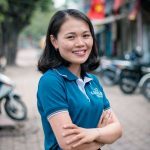 Nowadays, Vietnam Cambodia transnational vacation has become popular to not only families but also other types of companions. Through travelling, they can refill the energy for a new working season, enhance their relationship and indulge themselves into different kinds of enjoyment. If one says making a plan of where to go is not easy, choosing a suitable accommodation is much more challenging. To help you get rid of those difficulties, Luxury Travel will provide the top luxury hotels and resorts that suit your demand for wellness. Consequently, on any tour to Vietnam and Cambodia, you will apply those recommendations into your itinerary. Situated in the central part of Nha Trang, Galina Hotel Mud Bath and Spa is truly one of the best options for travellers. The place offers a unique combination of luxury accommodation and mud-bathing. When coming and staying here, visitors can both enjoy the magnificent view of the beach, which is five minutes walking from the hotel and deepening themselves in the healthy mud-bathing package. The natural hot mud-bath service has provided a special kind of relaxation and enjoyment for the high-end customers. As you know, mud-bathing can bring a lot of benefits to our health. Even more, when coming to Galina Hotel Mud Bath and Spa, you can not only rejuvenate yourself but also indulge in this type of liquid. The staff are very friendly and professional. With those reasons, travel experts always include Galina Hotel Mud Bath and Spa into their available packages. Within Nha Trang, you can also choose Mia resort as your destination. This place provides the high level of convenience and comfort for the customers. With the target of putting the guests in the best satisfaction, they will definitely bring you the ideal taste of enjoyment and wellness. The travellers will be extremely well-treated even with the reasonable price. The rooms are built on the surface of the ocean. Therefore, you are always able to deepen yourself in the fresh and cool water. The view is also fantastic for a luxury holiday. For further information, please contact the local expert. What makes Six Senses Ninh Van Bay so popular to foreign visitors, especially to honeymooners? Six Senses has got four typical types of accommodations: Hill Top Pool Villa, Beach Front Pool Villa, Rock Pool villa, Water Pool Villa. Those villas create a wide range of options for tourists to take into consideration. People who enjoy private wellness vacation will be definitely impressed by the majestic surrounding scenery and the pristine beauty of nature. Staying here, apart from the luxurious services that the hotel offers, you can also make a spa reservation for therapy and massage, join in a cooking class or include a hiking trail tour into your package. The spa service in Six Senses will absolutely help you to rejuvenate and also relax yourself as if you are lying on an extremely comfortable King-sized bed. Only being there, you can be relaxed by the meditation treatment and fully-traditional massage served by the well-trained staff who are highly required to bring the best service for the customers. Vinpearl Resort and Spa Phu Quoc will completely suit your demand for relaxation, wellness and spa. Located in the private island, this resort has owned its advantage of creating a personal and healthy environment for the visitors. Along with the significant coastline providing a space for sunbathing and water sports, Vinpearl Resort and Spa also makes spa service available for couples, families and other people to enjoy. Accordingly, the menu runs diversely from therapy to body and treatment, from traditional to modern method. 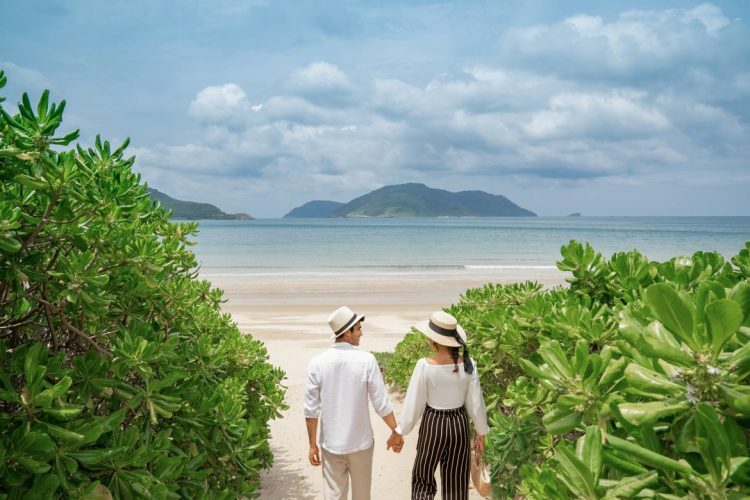 While coming to Phu Quoc – the so-called “Pearl Island” is a treasured exploration, having a chance to stay in Vinpearl Resort and Spa Phu Quoc is another worthy experience. In general, it has gradually left domestic and international travellers a remarkable impression of wellness and spa availability. Accidentally catching Almanity Wellness Resort on the way visiting Hoi An, you will be attracted by its luxury and convenience. The resort is originally located on the peaceful ancient town Hoi An, therefore it is well-fixed for the fan of quietness and privacy. Here is one of the good feedbacks that can be easily got from Tripadvisor. Almanity Hoi An Wellness gives the suggestion of the holistic spa inclusive retreat for tourists ranging from 1 day to 7 days, even more than that. If you make reservation for an all-inclusive room package, you are able to receive an unlimited daily Sauna and Steam service, a daily 60-minute treatment at My Chi Wellness and Spa and join the daily-scheduled yoga and Taichi session at the poolside. Unlike other luxury resorts and hotels, Hoi An Wellness Resort not only brings you the sense of true relaxation by the four-star nature-like design but also offers different kinds of medical treatment to rejuvenate and refresh yourself. At present, Almanity Hoi An Wellness Resort is offering summer holiday promotions. If you want to reserve in the most beneficial way, please contact the local expert. Standing in the outskirt of Siem Reap, Anantara Angkor Resort and Spa is a luxurious escape destination for holiday travellers. 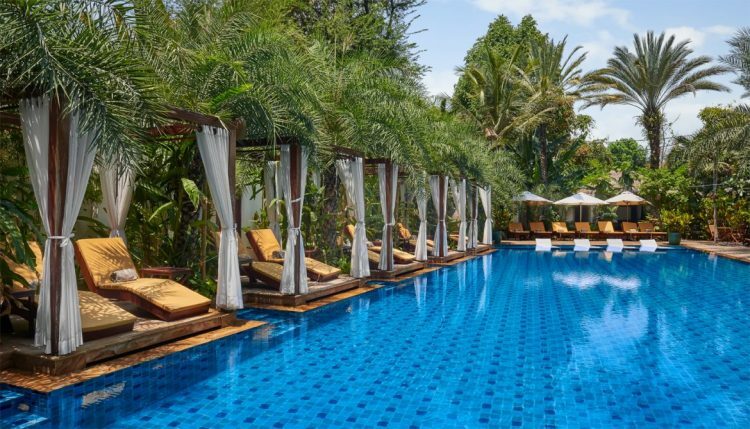 This resort resembles the royalty of a grand Khmer villa. From the exquisite rooms, you can take a look over a beautiful courtyard beside the ancient-like swimming pool. Anantara offers 39 extended rooms and suite which is built based on religious architecture. From there, you can easily approach Angkor Wat complex as it is only about 15 minutes driving to this place. The resort also provides VIP tours for arranged on the basis of your demands. After a day travelling around this famous tourist attraction, you can pamper yourself in the traditional massage and therapy session. Khmer massages and ingredients have drawn a significant effect into the facial and body parts. You will feel relaxed after a long discovering journey. 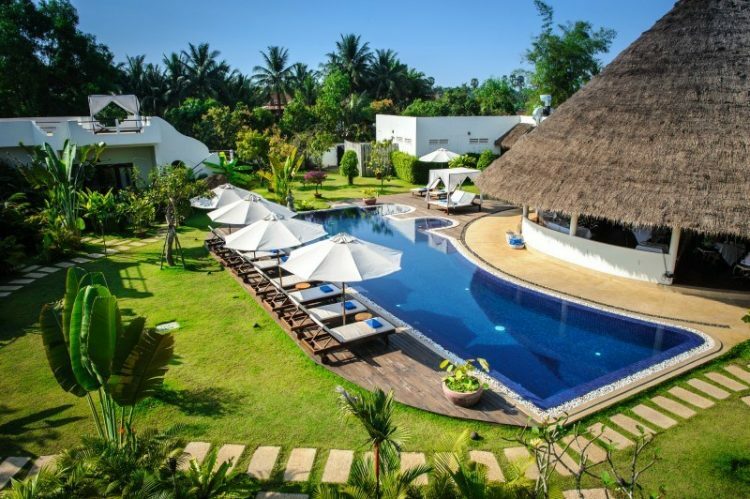 If you enjoy chilling in the hub of spirituality – Siem Reap, it is highly recommended that you choose Navutu Dreams Resort and Wellness Retreat as a place to stop and experience. Here, there are various kinds of meditation sessions used local ingredients, yoga, detoxes, traditional Chinese medicine and holistic treatments and a range of classes and outdoor programs for tourists to join, balance and rejuvenate their mind, soul and body. Especially, the resort offers the luxurious grand suite, which is a perfect luxurious homie for families during summer vacation in Siem Reap. Staying in this villa, you can both have the same feeling while staying in your house and admire the high-end and unique design of the whole resort. Therefore, this is one of the most highly-rated resorts on Tripadvisor. All you decide to take this resort as your getaway, please leave the local experts a message and you are all set. 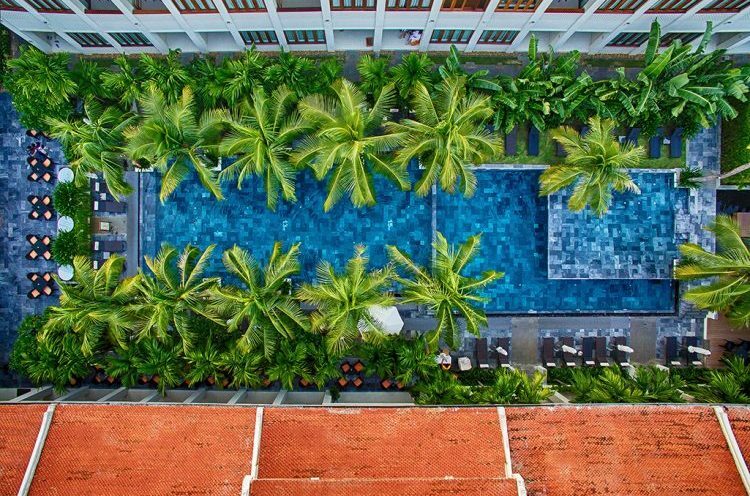 Arriving at Aquarius Hotel and Urban Resort, the charming stop located right in the centre of Phnom Penh Capital, you will discover the specialities that the hotel offers. It is surrounded by magnificent landmarks. From the leak of the window, you can witness the bustling city of Phnom Penh. While other hotels just have got a normal swimming pool, Aquarius has applied this kind of fresh salt-water, which provides various minerals for your bodies to absorb. Moreover, you also receive a blissful retreat from the high-qualified and professional masseurs as long as you include the spa and treatment session into your package. What could be more wonderful than relaxing at the spa after a busy-exploring day in Phnom Penh? The so-called Royal Palace is located just 11.5 kilometres from the Phnom Penh International Airport. All of the designs are based on French colonial villa, from the window up to the whole constructions. 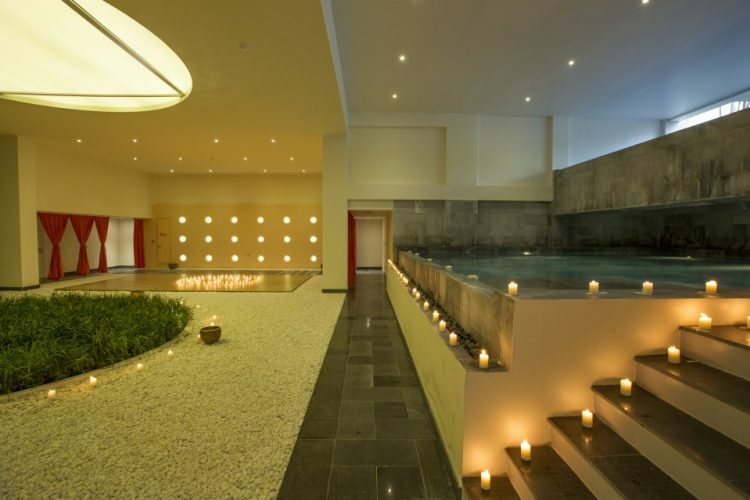 Staying in such a luxurious hotel, you’ve truly received a unique wellness treatment. The meal is both served in French Fine Dining or Royal Khmer options. The playing a relaxing ground is high-end enough for tourists to blend themselves into. Overall, it creates a perfect palatial oasis, which is totally ideal for a summer escape. Furthermore, the views of the room offer different outstanding scenery. With the room package including the balcony, you can get up early in the morning to witness the peace of Phnom Penh and the majestic sunrise. Meanwhile, the royal suite creates an extremely impressing view of the beach and religious architecture. Have you fallen in love with the specialities that Palace Gate Hotel and Resort? Contact us now and we’ll carry the rest for you! Have you ever imagines that there is a luxurious spa area right in the cruise flowing across Halong Bay? It is no longer an unreal context, as today, there are many cruises offering the all-inclusive tours, which comprise of a spa package for travellers. The unique thing that you can get when trying this kind of enjoyment is that you can both admire the majestic beauty of Halong natural landscape and pamper in the special skin and body treatment (hydrotherapy, mud masks, and facials) from the professional staff in the cruise. Halong Bay wellness and spa overnight cruise has become an incredible choice for tourists, as it is the combination of nature enjoyment and mental treatment. In order to actively make a respondent to the demand of the customers, Luxury Travel has published some of the sightseeing-spa tours to create the best environment during your summer holiday. Nothing is wonderful than combining the nature and self-enjoyment within a trip in Vietnam and Cambodia. Here you are in the recommended famous hotel and resort list regarding the wellness and spa requirement. If you ever visit Vietnam and Cambodia, put this article and those accommodations in your mind. Then, you are worry-free about where to stay. With the slogan “Creating Authentic Experiences for discerning travellers”, Luxury Travel has continuously attracted thousands of high-end travellers and get a huge range of contracts and reservations from domestic and international visitors. We are making effort to offer the best tailor-made itinerary for the customers. Everything we suggest is beneficial to your specific demands. Let us be a part of your summer holiday!